It all started with a pair of vintage boots. 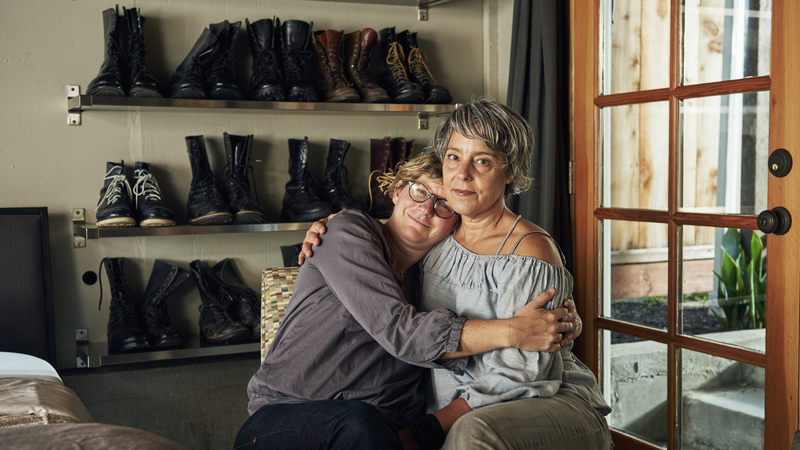 Suzie had a brand new Etsy shop (BadAssOldThings) and Beverlee was perusing the site when she stumbled across the perfect looking pair of country kicks. She noticed on Suzie’s profile that her shop was local, so she asked if she could come to try the boots on in person. Meanwhile, on the other side of the shop, Suzie was excited to have her first potential sale. She agreed to meet the buyer in real life. And, as it turned out, the pair fit in more ways than one; Beverlee got those vintage boots to wear home, and Suzie earned herself a “vintage girlfriend” in the sale. 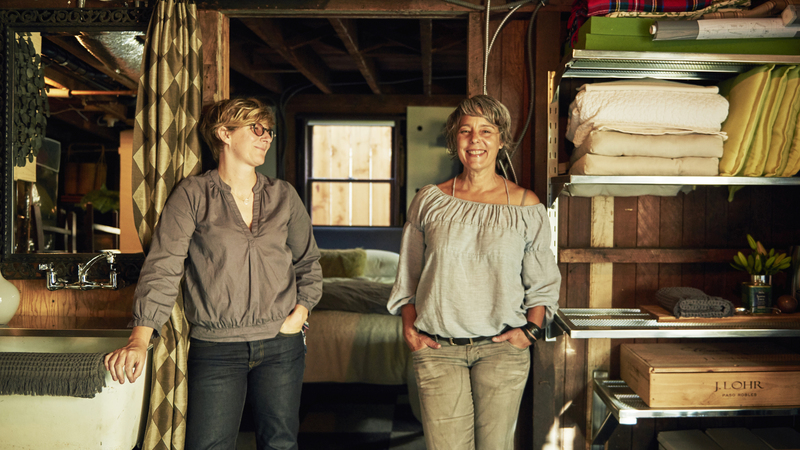 Three blissful years into the relationship, the two live together in Oakland, host on Airbnb, and take trips often. Which is exactly what they do every day. As time goes on and they exist from this place of positivity, Beverlee and Suzie have noticed the world around them changing. As hosts, it’s a different scenario. 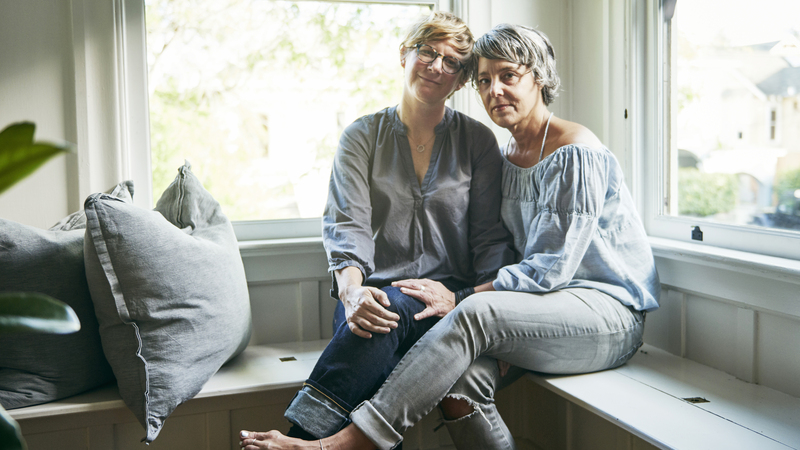 Initially, they were nervous about being two women welcoming strangers—those they couldn’t always guarantee would be supporters of their relationship—into their own home. So the two decided to be truly out with their relationship in every aspect; they added an affectionate selfie of them smiling together as a couple in their profile. 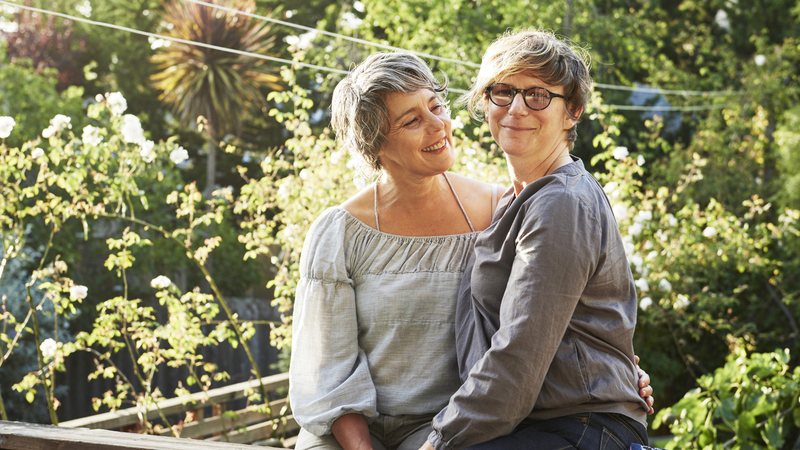 “Hosting as a gay couple has brought two introverts into a comfortable place of just being our authentic selves with everyone we meet,” explains Beverlee. Their favorite way to welcome guests? Fresh flowers in every room. As for Pride this year, the couple looks forward to two things: a silver Harley and some fake silver eyelashes. “Pride for us is all about being real, having fun, and being proud to be ourselves,” Suzie says. And that, they say, is how you show love into the world: welcome it into your home first… then it can find you wherever you go. In celebration of Pride 2015, our #HostWithPride series features stories of love, travel, and welcoming from LGBTQ members of our community.